You searched for which does not fit your . We've redirected you to 117-135, which has the proper fitment. • Harness boot from The Milwaukee Motorcycle Clothing Co.
Because the foot is three-dimensional, any two-dimensional measuring tool, such as a ruler can only approximate your true shoe size. Please keep in mind that manufacturers' sizing may vary. 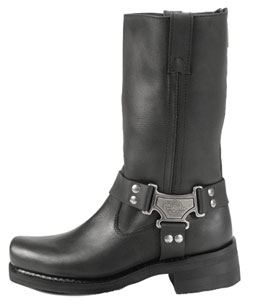 very comfortable and stylish boots! wife is very happy!